From singing along to The Wiggles to dreaming about performing at the Met, young Franklin soprano Mary Laing is a diva in training. She spoke to ANGELA KEMP. When she’s not visiting the family farm in Pukekawa, working as a beauty consultant or studying for a music degree, you’ll find Mary Laing practising her German. It’s a wonder she has any time for her passion for singing opera but those readers lucky enough to catch her recent debut will realise she has a voice to be reckoned with. Mary, 21, is studying for a Bachelor of Music majoring in classical voice at the University of Auckland and has just completed her third year. She’s going on to do honours in the next academic year and has her hopes set on continuing her studies, namely a Masters, overseas, most likely Germany for which she is learning German in anticipation. Other institutions in her sights are the Royal School of Music in London and the Royal Conservatoire of Scotland. Her singing talent was picked up by her mother when Mary was aged four and could sing all the words to The Wiggles. When she was seven her mum and grandmother enrolled her in the Pukekohe choir, Majors and Minors, under the leadership of Lynda McDowall. 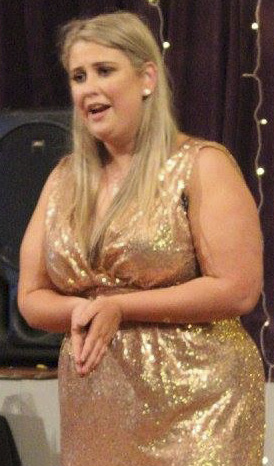 But it was under the tuition of Clevedon-based soprano, Gina Sanders that Mary’s talent really started to blossom. Mary attended ACG Strathallen School where she won its talent competition two years in a row. “I decided to try and be a pop singer because nobody liked opera. The night before the contest all the ACG schools in Auckland came together for a combined concert and my music teacher had me do some opera. The girl organising the talent quest heard me and asked if I would do it for the talent quest heat. “For a long time I wasn’t very proud of being an opera singer and it took me a really long time to come out of my shell, especially at a school. “Anyway, I still did a pop song with my friend as planned but at the end I did opera, too. When I finally had the guts to do it at school everyone was really supportive and I got through on the opera. While at school Mary was a member of the NZ Secondary Students’ Choir which went on tour to South Africa. She is often booked to sing at weddings and funerals and takes up as many choral opportunities as she can. 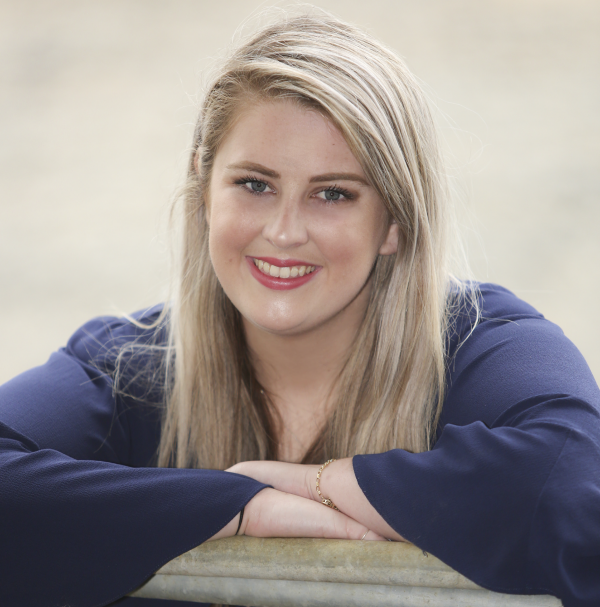 Her debut as a solo soprano at the Franklin Community Choir’s Christmas concert at St Andrew’s Church in Pukekohe in December was highly acclaimed and she’s looking forward to further guest appearances with Auckland choirs during the coming year. As any opera enthusiast will know, a voice is like fine wine and improves with age so Mary is at the start of a long career. “Your voice is always maturing so my voice probably won’t mature until I’m around 30. Then my voice will have reached the stage where it’s going to stay. Leading up to a major performance Mary is careful of what she eats. She cuts out dairy products completely as they make her throat phlegmy and can affect her vocal chords. Three days out she switches to a fruit and veggie diet and on the day of a performance she doesn’t eat anything but she does drink pineapple juice and a lot of water. However, she says voice preparation is only part of what it takes to be an opera singer. Mary says her dream is to sing at the Met Opera in New York and see her name in lights. And, there’s something about Mary which makes me think she could just do exactly that. Seek and will you find?